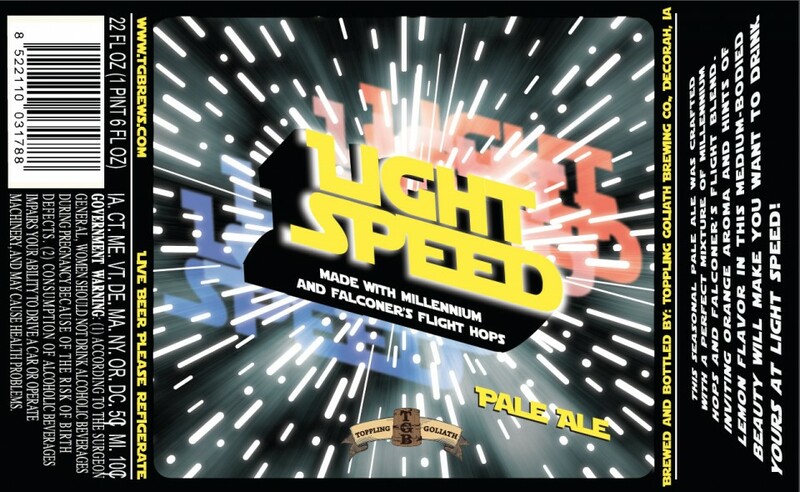 Toppling Goliath has Light Speed. New England Brewing has Imperial Stout Trooper. Empire Brewing has Empire Strikes Bock. LucasFilm has a problem when it comes to Star Wars beers. Imperial Stout Trooper, which launched in 2006, made it three years before Lucasfilm’s legal team reached out, said NEB’s owner and head brewer Rob Leonard. “They were very nice and pointed out that they too have a similar image that is protected and we should probably change ours,” Leonard said. 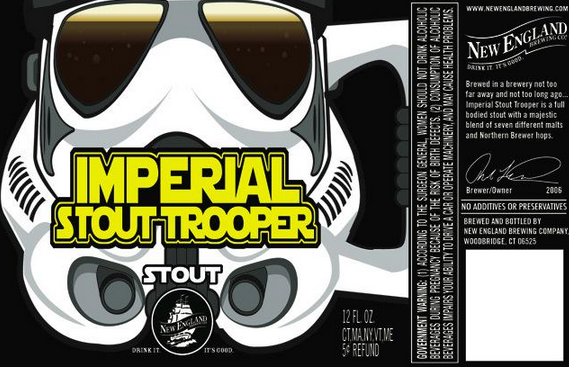 NEB did change the bottle label and continues to brew Imperial Stout Trooper. Empire Brewing, located in Syracuse, N.Y., has Strikes Bock (6.5% ABV) which is a traditional German style Mai-Bock. “This is a true lager, made with German lager yeast and fermented for six weeks. The flavors are malt forward with a medium body, finishing with a dry peppery flavor that is derived from the hops,” according to Empire Brewing. That description of Star Wars comes from a Notice of Opposition filed with the U.S. Patent and Trademark Office because Empire Brewing wants to trademark Strikes Bock because they want to package it for sale when they open their Farmstead Brewery on 22 acres in Cazenovia, N.Y. later this year. Lawyers representing Lucasfilms didn’t respond to requests for comment. And Empire Brewing owner David Katleski said he was withholding comment during the legal process. When the story originally broke everyone from Syracuse.com to Eater to Gothamist to The Guardian wrote about it. Katleski and Empire’s head brewer Tim Butler even made a video to illustrate their stance that Strikes Bock is a parody. Empire has brewed Strikes Bock for years, since June 2004 according to their trademark application. According to legal filings, Empire Brewing’s request to have Lucasfilm’s opposition to the trademark was denied on March 27 so trial schedule proceedings are resumed. Empire Brewing has until April 16 – the first day of Star Wars Celebration a Star Wars convention in Anaheim, California – to file an amended notice with the court.